At Christmas five years ago, people entering St Francis Xavier’s Cathedral in Adelaide were shocked to discover that the nativity crib had been vandalised. Someone had urinated over the statues of Mary and Joseph, and the statue of the baby Jesus in the crib had been smashed into pieces. Rather than have the statue of Jesus replaced, the Archbishop instructed that the broken pieces of baby Jesus should be gathered together in a basket, and placed in the middle of the sanctuary, in front of the altar. It had a very powerful impact on people, and many knelt on the step of the sanctuary in prayer. One man, well known in the Cathedral, who has a very positive personality but is not quite in possession of all his faculties, spent the whole time of one Mass lying prostrate in front of the broken pieces. In all, there was a whirl of emotions, from shock and disbelief, to incomprehension, even dread. Who would know the motives why someone would carry out such acts? Putting it starkly, why would anyone want to break Christ? Perhaps it was somebody hurt by a person of the Church, or who has experienced the Church as a hostile institution. Perhaps it was someone antagonised by the high ideals preached and practised by Jesus. It could have been someone infuriated at Christianity, possessed of a hatred for those who call themselves Christian. Indeed, it might have also been by someone moved by Satan, or the demonic within, to destroy and degrade as best they might the image of Christ. simple exhortations to be good. Another meaning for us is that part of our vocation is to refashion Christ, to build again His Body in the world, just as one might take the broken pieces of a statue and reform it. So there are the themes of those who would want to break Christ in the world, and there is the image of the broken Christ Himself. 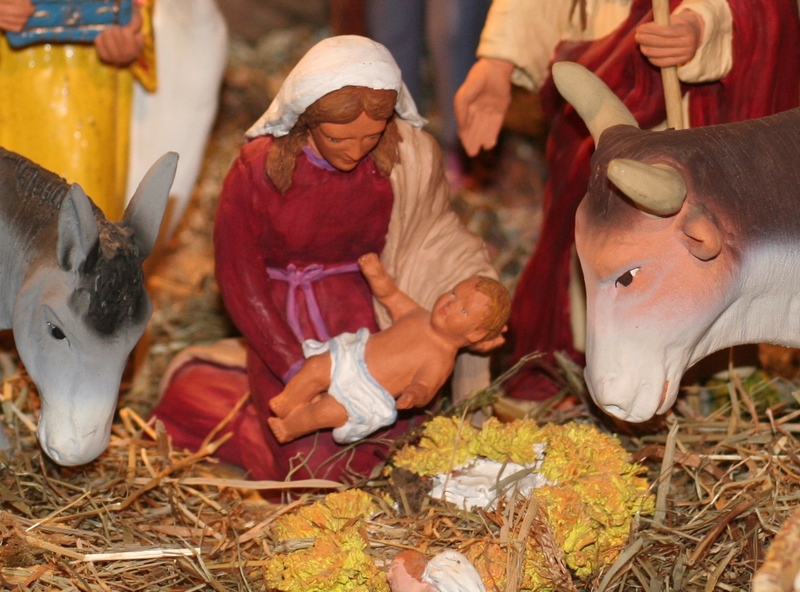 His life for us was broken from the beginning, being born in a stable because there was no room, being born in poverty, and having nowhere to lay His head. The whole message was that His life would be poured out for us, that the Father so loved us that He sent us Christ, that all might believe in Him. benefit. So it was with the life of Christ. make all things whole and new again, a joy and truth we celebrate each Christmas.